This Spanish tile design is perfect for adding decoration to your kitchen or bathroom. 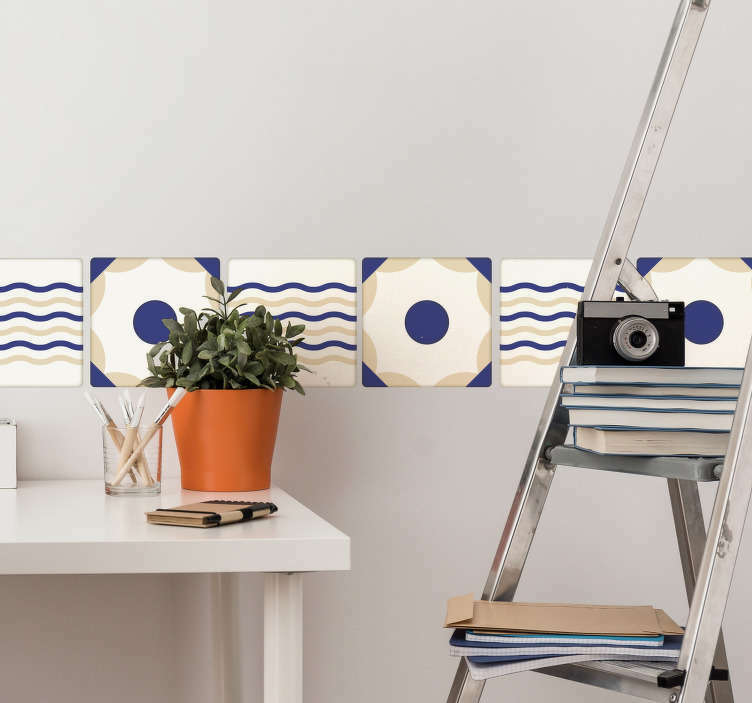 Create a nautical atmosphere with in any room with the blue coloured wavy lines that remind you of visiting Spain. Our Spanish wall tile stickers are waterproof and easy to apply, being made from high quality, anti-bubble vinyl.